Meet Our Newest Honorary Member...Brother Jesus Christ! XYZ News— XYZ Fraternity is proud to announce their newest honorary member…Mr. Jesus Christ. 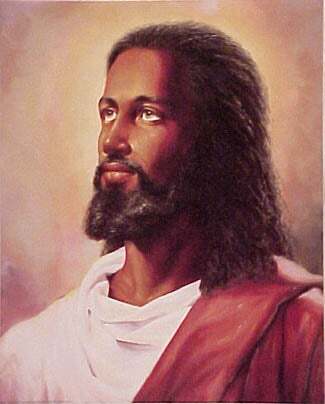 Mr. Christ, who is a worldwide celebrity and star of the long running reality program, “Christianity”, accepted the honor from XYZ as part of their 200th annual fraternity convention. “I always loved the ideals of XYZ fraternity,” Mr. Christ said, as he smiled for the cameras. Leaders of XYZ fraternity who’d nominated Mr. Christ for membership, gathered around him, posing for their own pictures with the man known by his nickname, “The Lord”. “I never really had time to pledge, or even go to college for that matter. I was sorta busy, you know," added Mr. Christ. There had been some grumbling among XYZ members that Mr. Christ, being omnipotent, could have found a bit of time to pledge, like most ordinary members. And there were whispers that XYZ was glory hunting with this high profile pick. But XYZ president Johnny Baptist dismissed those concerns as being "shortsighted". As Mr. Christ left the auditorium wearing his new XYZ fraternity jacket, which had "Big Brother Savior" written on the back, he turned back to cheering XYZ members and gave up the XYZ fraternity sign. “XYZ is in my heart!” Mr. Christ exclaimed with a smile. And with that, he left the auditorium, promising to return soon. I’ve got to admit that I just don’t get honorary membership. I also don’t get honorary membership’s little stealthy brother, the “special intake”, where famous members who somehow can’t find time to pledge when everyone else is pledging, are inducted into an organization. It's that induction where you get an email saying blankety blank is now your brother or sister, and instead of saying, "cool", your first reaction is "huh?". My brain tells me that these famous people are being gifted membership because they’ve matched the attributes and values of the organization, and by making them an honorary member, the organization is simply bringing them into the fold as an example for other members. I’ve heard people compare it to receiving an honorary doctoral degree from a university. Maybe so. But my heart tells me different. My heart tells me that the great majority of these honorary inductions are done for the press that it gets and to boost the image of the organization. And while these honorary memberships might be analogous to honorary doctorates, the difference is that most schools giving those degrees don’t suddenly start claiming their honorees as alums of their school. I mean, do you think that Central State is proud that they gave Mike Tyson, a high school dropout, an honorary doctorate in humanities back in 1989? Are they claiming Dr. Tyson as an alum? The other problem with honoraries is that if you claim them as full-fledged members, but they know nothing about your organization, and they don’t do anything to learn, what does it say about the importance of your organization to the honoree? More often, it gives the impression that the honorary membership was done to compete against other fraternities or sororities in order to show that your roster is “star studded” with famous frat and sorors. But in all honesty, how much pride can an average member take in having an honorary? I honestly don’t know, you tell me. All that said, I can’t say that I’m 100 percent against honoraries because I do know some who are active in the fraternity or sorority. Nikki Giovanni, who comes from a family of Deltas, is one example. She’s active locally and nationally, making the honorific title a bit extraneous. But for a lot of honoraries, I’m dubious. You really think Bill Clinton is rolling to his local Sigma meeting? Is Alicia Keys stepping with the AKAs next week? Or will Aretha Franklin oo-oop with the Deltas at her next concert? Even my beloved Alpha made Frederick Douglass an Alpha, when he was dead. Personally, I take pride in knowing that my organization is strong enough to draw unfinished young men into it, develop them, and then watch as they make a name for both themselves and the fraternity. Does that mean famous people shouldn’t look toward my organization if they’re interested in joining? Absolutely not. I welcome them into my organization. I just want them to follow the same process as everyone else. Whether you’re a snot nosed 18 year old kid (uh…that would be me) or the ultimate famous person in Jesus Christ, I want everyone to fill out an application, get recommendations, be voted on line, go through the official process, and then be voted into the organization as a full member.